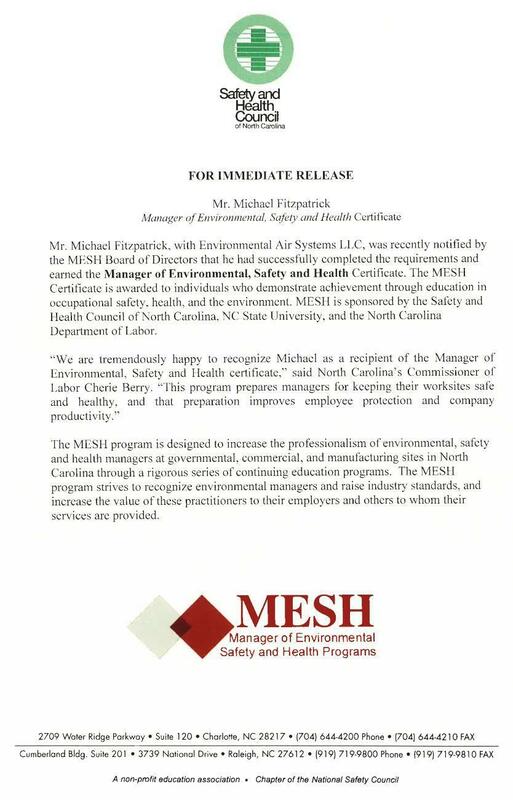 Mike Fitzpatrick (EAS High Point), was recently notified by the MESH Board of Directors that he had successfully completed the requirements and earned the Manager of Environmental, Safety and Health Certificate. The MESH Certificate is awarded to individuals who demonstrate achievement through education in occupational safety, health and the environment. This program prepares managers for keeping their worksites safe & healthy, and that preparation improves employee protection and company productivity. Congratulations Mike Fitzpatrick.